Q-Connect Polypropylene Packaging Tape 50mm x 66m Clear (Pack of 6) KF01791 Pack of 6 Q-Connect Easy Tear Tape. 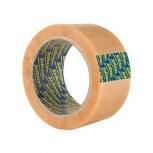 Strong polypropylene clear adhesive tape. Seals fast and holds tight. 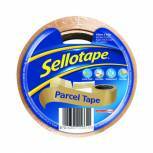 Ideal for packing and sealing. 50mmx66m. 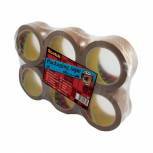 Sellotape Polypropylene Packaging Tape 50mm x 66m Brown (Pack of 6) 1445172 Pack of 6 General purpose economy grade buff polypropylene tapes. 50mmx66m. 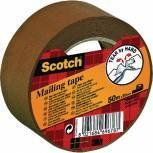 Ideal for packaging and general office use. Pack of 6 rolls. 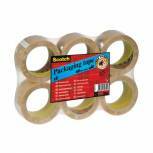 Buff Packaging Tape 50 mmx66m (Pack of 6) WX27010 Pack of 6 Case Sealing Tape. 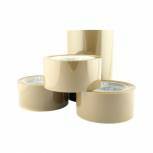 Adhesive polypropylene buff tape for sealing and securing packaging. Size - 50mm x 66m. Colour - Buff. 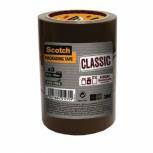 Q-Connect Low Noise Polypropylene Packaging Tape 50mm x 66m Brown (Pack of 6) KF04381 Pack of 6 Q-Connect Packing Tape. 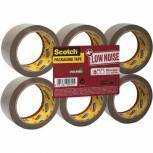 Polypropylene low noise tape that dispenses without that annoying screeching noise. Size - 50mm x 66m. Colour - Buff. 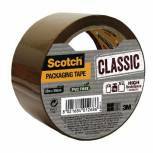 Scotch Packaging Tape Low Noise 48mm x 66m Brown (Pack of 6) 3120B4866 Pack of 6 3M Scotch premium quality low noise packaging tape with high bond strength and tear resistance. Available in buff. 48mm x 66m. 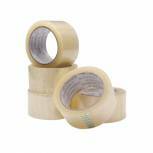 Sellotape Polypropylene Packaging Tape 50mm x 66m Clear (Pack of 6) 1445171 Pack of 6 General purpose economy grade clear polypropylene tapes. 50mm x 66m. Ideal for packaging and general office use. Pack of 6 rolls. 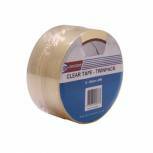 Sellotape Vinyl Case Sealing Tape 50mm x 66m Clear (Pack of 6) 1445488 Pack of 6 Sellotape Clear Vinyl Tape. 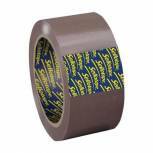 Premium quality waterproof tape for sealing and securing boxes and parcels. 50mmx66m. Colour - Clear. Pack of 6 rolls. 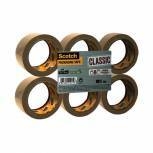 Scotch Buff Packaging Tape Polypropylene 50mmx66m (Pack of 6) C5066SF6 Pack of 6 Scotch Polypropylene Packaging Tape. 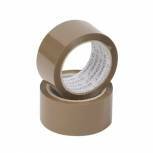 General purpose polypropylene tape with solvent free adhesive, ideal for sealing rough parcels, brown boxes or cartons for shipping. Size - 50mm x 66m. Colour - Buff. 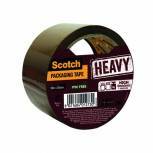 Scotch Packaging Tape Heavy 50mm x 66m Brown (Pack of 6) PVC5066F6 B Pack of 6 Scotch PVC Packaging Tape. 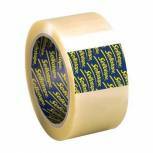 50 micron, silent unwinding tape ideal for use with all types of cardboard and sealing lightweight packages. Size - 50mm x 66m. Colour - Buff. 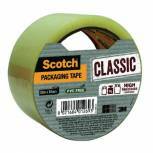 Scotch Packaging Tape Heavy 50mm x 66m Clear (Pack of 6) PVC5066F6 T Pack of 6 Scotch PVC Packaging Tape. 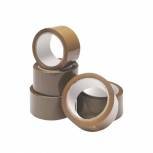 50 micron, silent unwinding tape ideal for use with all types of cardboard and sealing lightweight packages. Size - 50mm x 66m. Colour - Clear. 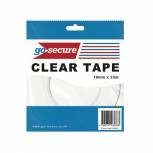 Go Secure Twin Pack 25mm x 66m Clear Tape (Pack of 6) PB02305 Pack of 1 This Go Secure adhesive tape is fast sealing and ideal for packing, wrapping and sealing. 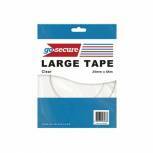 Suitable for home and office use, each roll of tape measures 25mm x 66m. This pack contains a total of 12 clear rolls (6 x twin roll packs).